It's been very quiet around here lately because I've been crafting like a mad woman for the past few weeks. My great grandma had a thimble that was so worn, it had holes in it and I thought "how does that even happen?" Now I know. I've been making brooches, collars, tote bags, makeup bags, hair scarves and art prints for my first craft show, the Spring Fling in the City hosted by Parsimonia Vintage. I'm really excited about my new tote bags, which I sewed myself since I couldn't find anything that was just right. My friend, Erin from Yellow Bird Gifts kindly let me share a booth space with her so I could get the swing of things before doing one on my own. It rained on Saturday but the event organizers had a plan B and set the vendors up indoors. We enjoyed live music from local bands, dancing from the St Louis Lindy Hop group and treats from local food trucks. We were set up right next to our friend, Beqi of Beqi clothing. I bumped into some ladies from the St. Louis Vintage Enthusiasts Meet-up Group, met some internet friends in person (yay!) and made some new friends! I made a lot of new things for the Spring Fling, which are now available from Wacky Tuna! If you weren't able to join us here in St Louis, use coupon "springfling2015" for 20% off your order in my etsy shop now till June 1st! 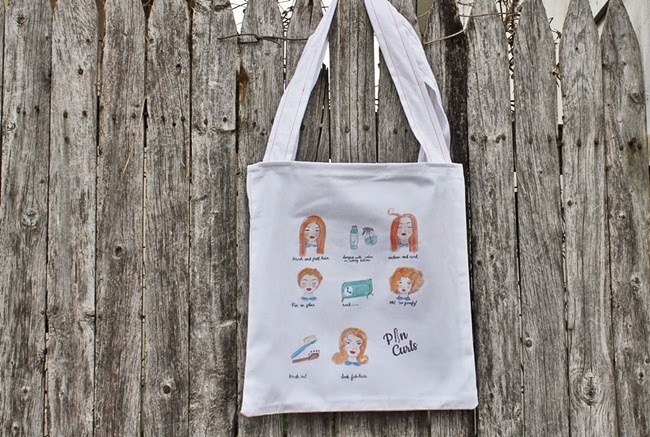 Your totes are so cute! And you look adorable modeling them. You're so talented, this is a wonderful idea well executed. Apparently there's some great rockabilly events in the nashville area. They just had the nashville boogie, I think? Check out facebook because you never know! I found mt st louis group randomly on meetup.com! 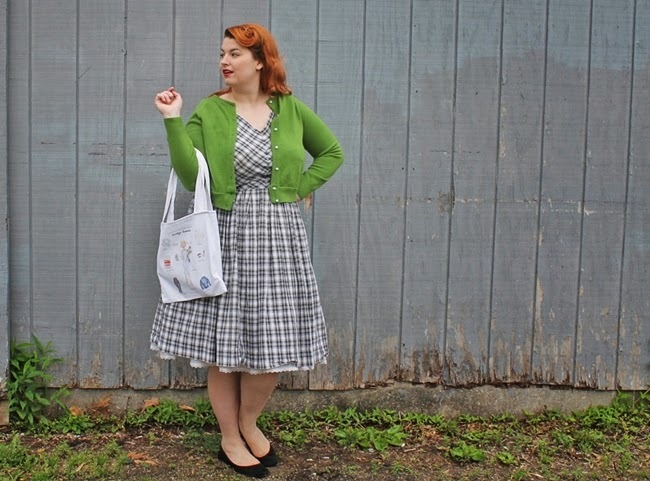 very nice post...lovely photos,great look of Yours and Your tote bag is so charming...cheers! Your booth looks great, like a little treasure trove. Absolutely awesome display! Way to go, ladies, on a beautiful booth chalked full or equally fantastic products. I especially love the wooden crates used here. I've been hunting for some for when I sell at vintage (and the like) events myself, but haven't found any yet. They're highly collectible around here because of the area's 150+ year history or orchard farming, but I'm determined to unearth some sooner or later. I hope that this sale was a success for both of you and that you had a great time there.